Published by Cham Books in June 2013, this book is also being translated into Spanish, French, Italian, German, Portuguese, Swedish, Chinese, and Japanese. In the much anticipated "Heaven’s Formula for Saving the World," author Woo Myung explains that the era of incompletion which was an era of addition has ended. The era of human completion, of living eternally with true happiness, has arrived and can now be achieved through the method of subtraction. 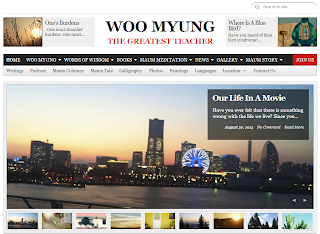 Teacher Woo Myung makes it clear that until now, mankind has lived by adding to his mind through everyday life experiences. Addition has led to each person to forming his/her own world within his/her mind based those experiences, resulting in the separation of self from the true world that actually exists. Just as a camera takes pictures through its lens, one's false mind world is formed by taking pictures through one's five senses – taste, touch, sight, sound, and smell, and that each person is living inside that illusionary world at any given moment, including the present. People are unable to tell the difference between the false world in their minds and the true world that actually exists because the false human mind world overlaps the true world. The inability to escape from that false world has led to much discord and many mental and physical illnesses for people individually and to society as a whole. However, subtraction of the false world will guide people to the true world that exists, and rebirth from the true world while one is still alive enables human completion. Woo Myung explains that Truth is the eternal, never-changing, living existence, which is the non-material infinite universe emptiness – the universe before the universe – the great soul and spirit and the energy and light of the Universe itself. This is the world that is true – the world of great freedom, great liberation, joy, happiness, and eternal life. Therefore, when one lives in the true world by becoming the Universe mind itself, one would live as the age of the Universe which is to live eternally. Like many of his previous works, Woo Myung writes in his signature fluid, easy-to-understand manner with illustrations to further convey his message to his audience. Combining prose and poetry makes Woo Myung’s latest book a simple but profound read. Through this book, one will understand what the human mind is, what is true and what is false, the purpose of life, the meaning and the importance of human completion, as well as what true happiness is, and most importantly the way to become it. As Woo Myung states, "When there is no self, one's mind becomes the Universe." “Heaven’s Formula for Saving the World” is also available in Kindle version. Woo Myung is the founder of Maum Meditation as well as the bestselling author and writer of numerous books and artist of over 40,000 works of calligraphy. In addition to being actively involved in writing, teacher Woo Myung also provides lectures worldwide. His recent book, "Stop Living in This Land, Go to the Everlasting World of Happiness, Live There Forever" was recorded in the Top 100 bestseller list of 2012 on Amazon.com. Woo Myung was the first Korean single author to have achieved this record. Woo Myung has won gold medals for various international book awards, including IPPY, National Indie Excellence Awards, International Book Awards, and eLit Book Awards in the categories of spirituality, mind and philosophy. This award winning book has also garnered much attention and interest around the world in the subject of the mind and emptying the mind. Maum Meditation, a non-profit organization, currently operates over 340 centers worldwide and continues to grow. Maum Meditation is active in various projects such as providing free Maum Talk concerts, conducting Stress-Free Campaigns and volunteers medical, dental, and hairdressing services for the elderly and needy. Maum Meditation also participates in environmental cleanup efforts.